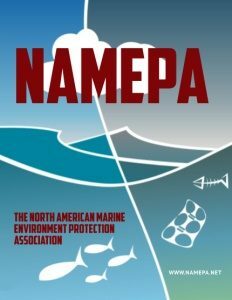 2017 marks the 10th anniversary of the formation of NAMEPA, the North American Marine Environment Protection Association, an industry-led organization to protect the oceans, improve operating practices, and educate others on how they can participate. NAMEPA acts as a portal for industry, regulators, conservation groups, educators, and students to discuss strategies for protecting the oceans and ensuring sustainability. It also serves to educate seafarers, and port communities. What is little recognized by the general public is the role that shipping plays as the engine of global trade. More than 90 percent of the world’s goods and energy are transported by over 90,000 ships. 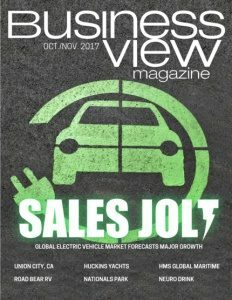 Further, the marine industry is the most environmentally benign and efficient mode of transportation. As has been said, without shipping, half the world would starve and the other half freeze. Another aspect of this important industry that is poorly understood is the intense regulatory framework under which it operates. The oversight body for the global shipping industry is the International Maritime Organization (IMO), a United Nations agency headquartered in London. Through the IMO, regulations are established for environmental protection, safety at sea, design of ships, and the welfare of mariners. This rigorous framework is implemented by the shipping community, and enforced by both flag state (country where a ship is registered) and port state (where the ship trade) administrations. Non-compliance can result in financial penalties and detentions, which places an enormous financial risk on offenders. The maritime industry, through the IMO, works towards continuous improvement. Some of the most recent areas of activity include action to reduce the risk of invasive species using ballast water management systems, the reduction of harmful emissions through the lowering of fuel sulphur content in 2020 from the current 3.5% to .5%, changes to ship designs to make them more energy efficient, and the reporting of energy usage as a benchmark for developing a strategy for reducing Greenhouse Gases (GHGs) in 2023. The zebra mussel, which is native to the Caspian and Black Seas, arrived in Lake Erie in the ballast water of a transatlantic freighter in 1988. Within 10 years it had spread to all the five neighboring Great Lakes. The economic cost of this introduction has been estimated by the U.S. Fish and Wildlife Service at about $5 billion. Ballast water discharges are believed to be the leading source of invasive species in U.S. marine waters, thus posing public health and environmental risks, as well as significant economic cost to industries such as water and power utilities, commercial and recreational fisheries, agriculture, and tourism. Studies suggest that the economic cost just from the introduction of pest mollusks (zebra mussels, the Asian clam, and others) to U.S. aquatic ecosystems is more than $6 billion per year. 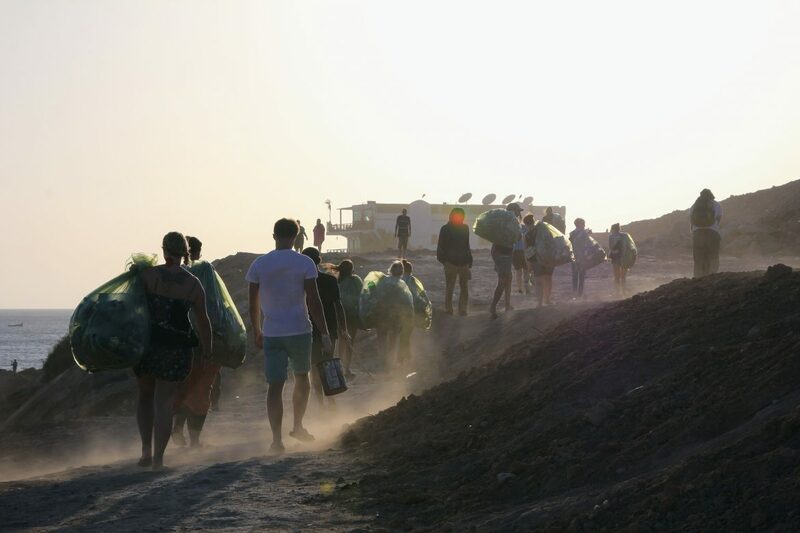 IMO has been at the front of the international effort by taking the lead in addressing the transfer of invasive aquatic species (IAS) through shipping. After more than 14 years of complex negotiations between IMO Member States, the International Convention for the Control and Management of Ships’ Ballast Water and Sediment (BWM Convention) was adopted by consensus at a Diplomatic Conference held at IMO Headquarters in London on February 13, 2004. In the United States, Congress passed the National Invasive Species Act of 1996 (NISA) to control aquatic invasive species. The Coast Guard issued ballast water regulations, pursuant to NISA, in 2012, incorporating differing guidelines for management systems (dead vs. non-viable) – three systems types approved since December and one in the pipeline. It is anticipated there will be nine by year’s end. The Environmental Protection Agency (EPA) has issued discharge permits for controlling ballast water under Clean Water Act authority. The Convention requires a review to be undertaken to determine whether appropriate technologies are available to achieve the standard. MEPC has conducted several such reviews and agreed that appropriate technologies are available to achieve the standard contained in regulation D-2 of the BWM Convention. Consistent with land-based industries, marine enterprises are seeking ways in which they can reduce their emissions and contribute to the overall welfare of the planet. While shipping contributes a minor amount compared to land based counterparts, opportunities exist to improve its performance. Much of the signature work in this area occurred at last October’s Marine Environment Protection Committee meeting (MEPC 70), during which a roadmap for addressing GHGs was agreed to. This process for developing an initial strategy would commence in 2018, with a finalized strategy to be presented in 2023. Developing benchmarks in the maritime industry is challenging as each vessel needs to be considered individually. It is hoped that much information will be available through the Energy Efficiency and Design Index (EEDI) for new ships. Measuring outputs on existing ships is much more difficult as even sister ships can demonstrate variances in reporting metrics; but currently in use is SEEMP (Ship Energy Efficiency Management Plan). One of the signature decisions at last October’s meeting was the determination to institute a .5% global sulphur cap in 2020, down from today’s 3.5%. To accommodate this change, shipowners are now looking towards either installing “scrubbers” (equipment which resides in the ship’s stack that “scrubs” the emissions of sulphur, nitrous oxide, and particulate matter) or paying higher fuel prices. There is also the issue of availability, as refineries are not set up for this quantity of .5% low sulphur fuel, so supply is a big issue. The maritime industry is also subject to a social license to operate granted by the public. To support the industry, NAMEPA is building a Corporate Social Responsibility toolkit incorporating corporate governance, environmental preservation, and the human element. An additional component is a mariner and shore side marine environment protection education and credentialing program so the level of expertise in this area is heightened.